Now you can make a dream come true!!! Full Telescopic Access for nearside plots - check out what's happening in and around your personal area of the Moon2. Total Privacy for Farside Plots - no chance of those nosy neighbours on Earth spying on you. Almost 100% Pollution Free - contamination from the Earth is minimal. 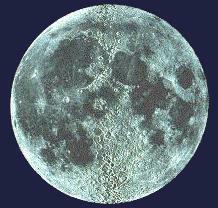 No Global Warming Problems - lacking a dense atmosphere, the Moon is not subject to the Greenhouse Effect. No Ozone Hole Problems - lacking an ozone layer, the Moon is not subject to ozone erosion by the release of chlorocarbons and other active gases. Free Meteorites! - no additional charge is made for spaceborne materials which impact on your personal plot. Independent Solar Access - the Moon is in no way dependent on the Earth for its access to light from the Sun3. Courtesy Cars Available - ex-NASA Moon-buggies are available for your unlimited use at selected sites4. No MoT's - the Ministry of Transport has no jurisdiction on the Moon and no authority to require testing of vehicles in any way, shape or form. Perfect Weather All Day Long - no chance of rain, snow, hail, fog, thunderstorms or any Earth-style violent weather interrupting a lunar picnic. The Sun shines all through the day, and the days are two whole Earth weeks long - guaranteed! Dark Skies for Astronomers - no light pollution, no clouds, no atmospheric distrubances of any kind. The Moon offers the perfect viewing platform for astronomers and the nights are a massive 14 Earth days long - guaranteed - for your added viewing pleasure! Permanently Low Gravity - Unconditionally Guaranteed! On the Moon, you will weigh just one-sixth of your weight on the Earth. Instant slimming without the need to diet. No VAT - the European Union has no powers of taxation on the Moon. 1 Highlands, �99/acre, Maria, �99/acre. 2Weather permitting, clouds or daylight may have an adverse effect on viewing conditions. 3 Some transient light loss may occur during eclipses by the Earth. 4 May need battery charge/replacement and full service.